This entry was posted on June 6, 2013 by Robyn Lee. It was filed under Depth Psychology, Pain Shadow Series, Spiritual, Spring 2013 and was tagged with acceptance, assimilation, confrontation, darkness, depth pysychology, embrace, emotion, healing, jungian analysis, Love, pain, photography, poetry, projection, repressed, resistance, Robyn Lee, self-awareness, self-love, shadow portrait, shadow-self, unconscious. How beautifully put. I feel honored that you shared this. Thankyou. Beautifully written and very artistic photo. Well done. What a GREAT coffee table book a collection of your writing and photography would make. Your words have always echoed across my heart and soul this piece more so than any. Benjamin, thank you, truly, my treasured friend ~ cannot express how much that means to me. Holding you in heart today and always. So much thanks thesacredroad. 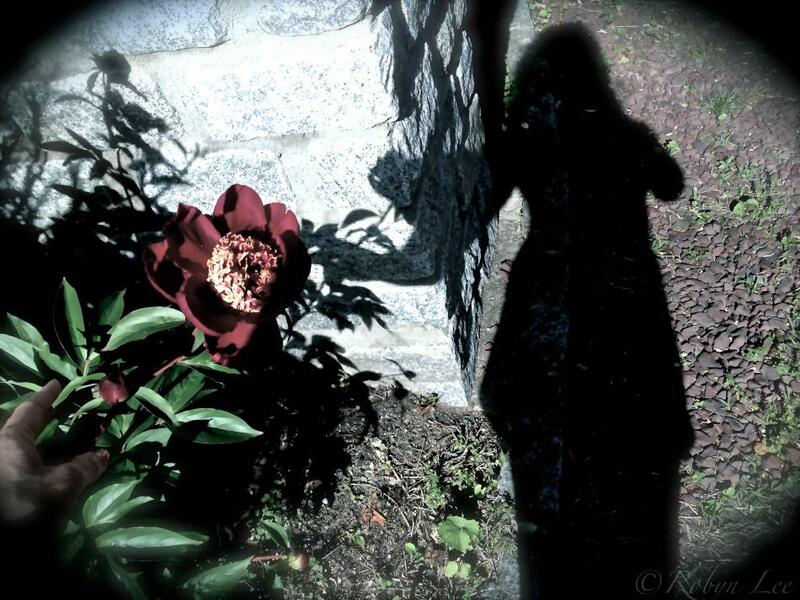 Yes, I do understand, though your awareness of those shadows is a blessing in itself…. x Robyn ps: So very honored for your sharing my work at your place. Wow. Love the poem and photo. So much truth. Dark and light interests me too. And the shadow place…It isn’t as scary as we think. It is the denying that is the problem. and your words encouraged me to continue to follow my heart. Thanks for sharing how you started. Another beautiful verse and matching photo. Dearest bulldog – thank you! ~ I have never written a poem before capturing and meditating on an image. And honestly, I never even have a clue what my words may be relating to when I take a given photo. Very deep and yet so clear – that’s quite a rare combination actually. Deep and clear …. huge compliment from you my dearest friend… Thank you so much Mike. I am delighted to know this moved you. Thank you so much Robyn ~ I am honored! I’m so in this mood’s groove! Dear Resa, my most beloved F-G-S ~ we are always in sync aren’t we — “this mood’s groove” … Thrilled you enjoyed this. This was n amazing read and the picture is great aswell! Very nice. And you do such great work with shadows. Thank you dear amigo Carlos…. your words are heartwarming. I am a sensitive and spontaneous soul by nature, as I know you are too. Robyn this is great. I love the poem and the surprising beautiful picture to follow it. So grateful for your words of praise dearest Julie. Thank you. This piece just pleaded with me this week after taking the photo spontaneously . I am most honored that you could feel the depth of it. Most honored by your warm words of praise dearest Tony. Thank you for your encouragement always. Great Robyn. I really enjoy your work. Where h ave you been all these years? The butterfly escaping the confines of its crystallos? Great poem here. Sensual and soulful. Fabulous. Thank you soooo much Mike! I am delighted to know you enjoyed!! You had me stumped on this one but the photo works perfectly with your lovely words. Aww than you dear LuAnn!! I appreciate… yes the photo took me to the words – as usual. Powerfully written and photographed here, Robyn. I am hearing the hero archetype here. If we cannot show the dark, do we deserve to share the light? How do I add to such wonderful and totally true comments on the magnificence of your work. All I can say is that the intimacy and imagery are wonderful and had a powerful effect on this reader. My mum once asked me if i could read anything without having to analyse it…gleefully I answered in the negative. I appreciate all your words and wonder what your preferred footwear is? If that is not to impertinent a question. I too have a “thing” for analysis! Not quite as avid a reader as you however! Now to footwear ??? – yes Set J – I will need to know the root of this question at some point – but will indulge you — at this stage of the game, my feet are happiest bare – and sinking into wet sand along the shore (where the sea meets the shore)! I even have Sweedish sneakers that mimic this sensation. I used to love wearing heels – and platforms (am only 5’1″) — but with my current issues with dislocating hips ~ I must be grounded now! 🙂 I hope that was helpful – and will await your analysis! Oh I once did a post on footwear wait ….. The reading has tailed off somewhat this year but I do have a few more reviews in the pipeline and am going to attempt to keep my position as ‘a bit of reader’ also. The root of my question? Pure nosiness and I also have a love of throwing in random questions into conversations just to see what the answers are. Yours was fantastic, the evocative sea motif brought into play (and so early in your bloggership, you flighty thing!). I must acquire me some of these Swedish trainers, men’s ones of course. Bare feet let you almost commune (if that is the right word) with the ground, very natural I like it. I love your footwear post, queen of the sea indeed, I always enjoy posts that interlink randomly…more unexpected questions I say! Thank you Set J ~ if you are interested in the Maisi Barefoot Technology shoes – here’s a good video on them ..
and there is controversy but study up (analyze, and decide if they are right for you)… I have like 4 pair – and some sandal types too. Always awesome to brush up on my footwear knowledge, thanks. Questionwise at least I didn’t weight in with the big questions such as what is your fifth favourite colour (and why)? That’s always an epic one. Always so captivating, Robyn 😀 Love everything about this post! You are a treasure, Robyn! I love to surround myself with “qyality people,” and you certainly qualify as one of them! Keep doing what you do so well and we’ll be talking again soon! Loved reading the verse and some of the comments. If I may ask, what could be my motivation to show myself to you thus? It would be this understanding which would propel the relationship…. As to your question … the piece mostly challenges the reader to explore all of the facets of self … even the ones that are uncomfortable or scary. To “shake hands with the shadows” as Carl Jung would say … welcoming the dark side in order to appreciate and recognize the light. And yes – when we are brave enough to do this, for ourselves -ONLY THEN can we reveal such to another (perhaps a loved one) — and achieve the ultimate in connectedness in relationship – and love too; a huge exercise in living with open heart, and TRUST. It is much about awareness and self-acceptance first though. Oh Robyn, I cannot tell if beauty flows through your words or your word through beauty.. All I “feel” is the bliss of it. And that “space” your poem speaks of has always intrigued my mind and heart. Thank you for giving me something, yet again to ponder. SF, I am humbled by your beautiful comment today. Yes -I agree there is a sort of blissful freedom in this space. I too am intrigued by such. Wow very poetic and deep, thank you for sharing! love you’re posts and look forward to more, I’ve seen a lot of good photography pictures and I can say this is quality stuff! Thanks so much lightsworth!! I am honored to know you enjoyed. & yes – some of these are deeper than the appear. Very happy to know you! A stunning image and powerful, moving words! It speaks volumes of seeking trust, per my interpretation. …speechless…awesome post (as usual for you), hugs n happiness to you and yours!